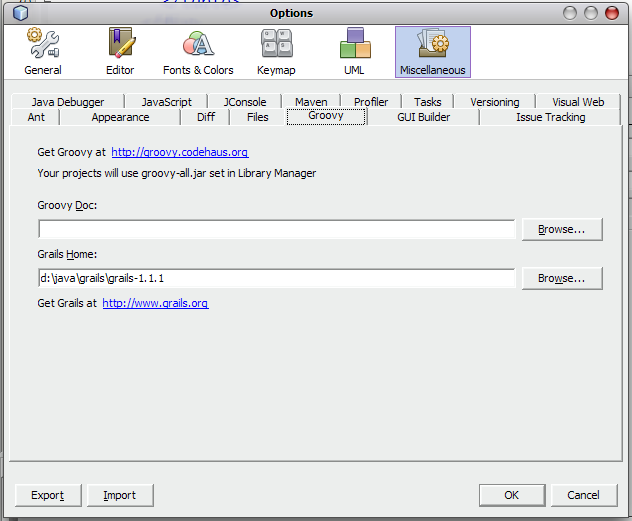 To enhance NetBeans with Groovy and Grails support we add the Groovy and Grails plugin to the IDE. We select Tools | Plugins and go to the Available Plugins tab. We type Grails in the Search field to look for the plugin. We select the plugin and press the Install button. NetBeans is now setup to create Grails applications.